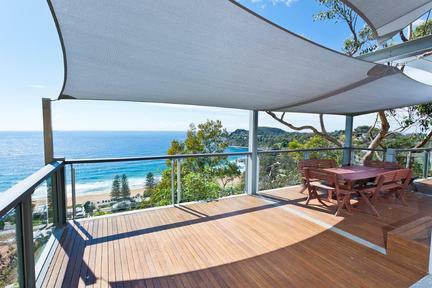 Sundrenched luxury is the only words for this newly furnished residence, offering stunning uninterrupted views over Whale Beach and beyond. This superb beach house is dominated by mesmerizing views from nearly every room the moment you open the front door. *Pristinely presented and enviably private, this generous size holiday home is blissfully quiet, embraced by sunlight and fabulous views.